When it comes to pricing your Merch by Amazon t-shirts and products there are various different strategies you can apply. I’ll lay out a few common strategies and give you a bit of insight into the reasoning behind each strategy. It’s important to have a goal in mind when considering a pricing strategy. Are you looking to achieve more sales? Earn higher royalties? Or simply to get as many reviews as possible for sustained long-term success? Your pricing strategy should be picked according to your Merch goals. With Amazon Merch you earn a royalty on each product sale you receive. This royalty is based on the list price that you set minus Amazon’s costs for the raw materials, printing, fulfilling, customer service, and shipping. You may be wondering what the royalties for each product and price point are, you can find them below. As you can see Merch by Amazon offers good royalties across the board. 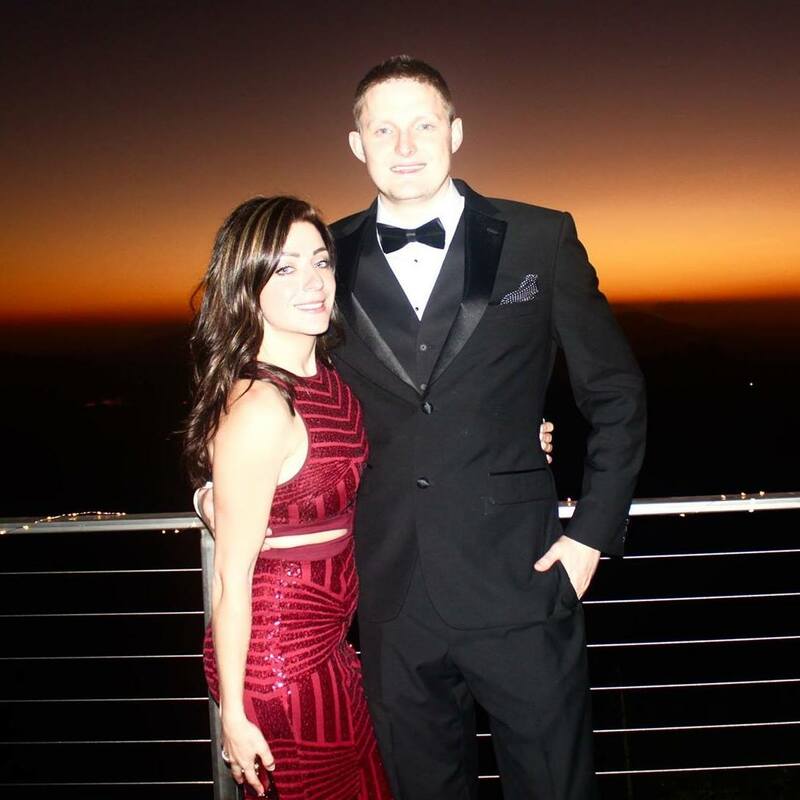 Their royalties are better than most Print on Demand platforms, and the best part is you have power of Amazon and their HUGE buyer customer base at your fingertips. Enough of the royalties and list price talk… Let’s go over some pricing strategies! As I stated earlier, there are various strategies you can choose to apply when it comes to pricing your t-shirts, hoodies, or sweatshirts on Amazon. Again, you should have a goal in mind, and you should pick the strategy below that will help you achieve that goal the fastest. I’ll explain each pricing strategy in more depth with my own reasoning behind each one. If you’re not looking to make a quick buck, this is the strategy to follow. Especially if you’re in the lower tiers, and looking to tier up as fast as possible. You’ll want to price your product as low as possible in order to generate as many sales as you can in the quickest manner. Lower priced items are a steal for the customer and they usually rank higher in Amazon’s search which in turn will generate organic sales quicker. You need 10 sales to get out of Tier 10, and 25 sales to get out of Tier 25. Pricing low will help you achieve these sales faster. This strategy works the same way as pricing for tier up does. Again, you’ll want to price your products as low as possible in order to generate as many sales as you can. The more sales you receive the more likely you are to have customers leave reviews on your products (hopefully good reviews). The goal for this strategy is reviews, not profits (for now). You may be wondering why people use this strategy if they’re not earning much money from the sale… The reason behind this strategy is to focus on getting 5-10+ good reviews on your products, and then editing the list price to a high price point such as $22.99 which will give you $7.65 in royalties per sale on a standard t-shirt. Good reviews play a major role in customer trust and in determining how high your products rank on Amazon among competing products. To recap, price low until you have 5-10+ good reviews, and then price high for good consistent long-term sales and royalties. This is a good strategy to experiment with as you get to test the market and see what they’re consistently willing to pay for your product. The strategy here is to start by pricing your product low enough to get sales quickly and consistently, so that the Best Sellers Rank (BSR) goes low and stays low. The lower the BSR the better as your product will rank higher, and start receiving more sales. Once you receive a couple sales, you’ll want to increase the price by $1, and if you receive a few more sales you’ll want to increase the price by another $1. Rinse and repeat this method until you find your sweet spot. If your sales slow drastically, you can always lower the price to the lasts successful price point. This is a simple strategy to follow, and quite frankly my favorite and most profitable. I experiment with the other strategies often, but this one has been my bread and butter. With this strategy you simply price high upfront and leave it. Before the Merch by Amazon royalty adjustment I priced almost all my standard t-shirts at $19.99, and my premium t-shirts at $22.99 which gave me $7+ in royalties. I’m now experimenting with $19.99 – $21.99 on standard t-shirts, and $22.99 – $24.99 on premium t-shirts, and I’m receiving sales – you will too. Customers don’t mind paying a higher price if you have a good relevant design and your product listings are optimized well enough to be positioned in front of the right niche audiences. 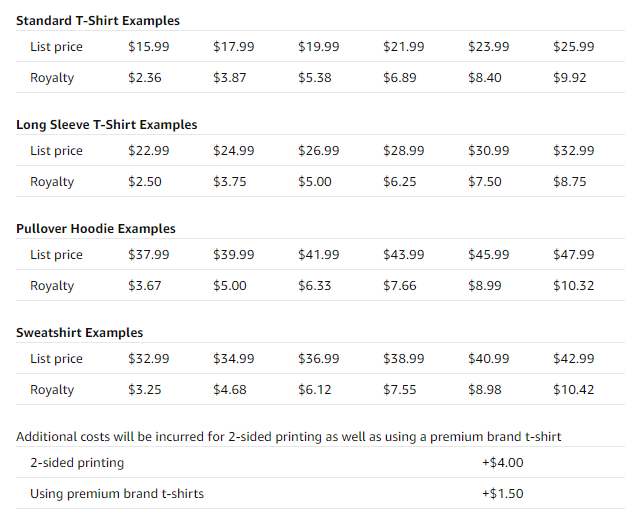 One way to insure your t-shirts rank somewhat well in the Amazon search rankings Is by making sure your listing price is competitive or slightly lower than competing products. With this strategy you want to price slightly lower than the average price of your niche market. If your niche is pricing their t-shirts at $17.99 on average, you could for instance price your t-shirt at $17.97, or lower. You can easily find the average price point of any niche market with our product search tool! If you haven’t signed up for Merch Titans yet, I recommend that you do. There you go… Five different Merch by Amazon pricing strategies that you can apply right now to any of your products. I recommend you apply the strategies that are most closely aligned to your Merch goals first, and then experiment with the others as you see fit. If you’re looking to make more money, don’t be afraid to price high. There is no “perfect” strategy for pricing as every niche market is different. Experiment until you find price points and niche markets that work for you, and then double down on those. Good luck to you on your Merch Journey! If you have any questions please let me know in the comments section below. This article saved my day!! but I still got a small question.. when should I consider changing the price? I started at $13,45 and I got 4 sales in the last month.. Should I think about changing the price soon? That depends on your merch goal. Are you in the lower tiers (10 or 25)? I am trier 8000 . I usually start my shirts low at $13,99 and once they sell I put the price up and I find that works. They seem to start rankings with the low price and then when I put the price up I find I get regular sales. I’ve been applying that strategy recently and I’m getting sales on some new shirts in as few as 6 – 8 hours. It definitely seems to work well right now. Thanks for your input! Add a new comment in 5 Pricing Strategies To Achieve Maximum Success on Merch by Amazon article.